Any part of a decedent's estate not effectively disposed of by will passes by intestate succession. Sec. 700.2101. The entire intestate estate if no descendant or parent of the decedent survives. The first $150,000 plus half of the balance of the intestate estate, if all of the decedent's surviving descendants are also descendants of the surviving spouse and there is no other descendant of the surviving spouse who survives the decedent. The first $150,000 plus three-quarters of any balance of the intestate estate, if no descendant of the decedent survives the decedent, but a parent of the decedent survives the decedent. The first $150,000 plus half of any balance of the intestate estate, if all of the decedent's surviving descendants are also descendants of the surviving spouse and the surviving spouse has one or more surviving descendants who are not descendants of the decedent. The first $150,000 plus half of any balance of the intestate estate, if one or more, but not all, of the decedent's surviving descendants are not descendants of the surviving spouse. The first $100,000 plus half of any balance of the intestate estate, if none of the decedent's surviving descendants are descendants of the surviving spouse. Sec. 700.2102. The dollar amounts listed above are adjusted annually for inflation. The adjusted amount is determined by multiplying the dollar amount by adjustment factor published annually by the Michigan State Treasurer. Sec. 700.2102. If there is no surviving descendant, the decedent's parents equally if both survive or to the surviving parent. If there is no surviving descendant or parent, the descendants of the decedent's parents or of either of them by representation. If there is no surviving descendant, parent, or descendant of a parent but the decedent is survived by one or more grandparents or descendants of grandparents, half of the estate passes to each the parental and maternal grandparents. If there is no surviving grandparent or descendant of a grandparent on either the paternal or the maternal side, the entire estate passes to the decedent's relatives on the other side in the same manner as the half. Sec. 700.2103. If there are no takers of the intestate estate, the estate escheats to the State of Michigan. Sec. 700.2105. Michigan is a common law property state. Any person of sound mind, who is at least 18 years of age, may dispose of any or all of his or her property by will. Sec. 700.2501. A will must be in writing, signed by the testator and at least two individuals, each of whom signed within a reasonable time after witnessing either the signing of the will or the testator's acknowledgment of that signature or acknowledgment of the will. A hand written will is valid as a holographic will, whether or not witnessed, if it is dated, and if the testator's signature and the document's material portions are in the testator's handwriting. Sec. 700.2502. An "heir" includes those who are entitled under the statutes of intestate succession to the real and personal property of a decedent on the decedent's death intestate, unless otherwise defined or limited by the will. To revoke or alter a will, the testator may create a new will that revokes the previous will or a part of the will expressly or by inconsistency. Alternatively, the testator may revoke a will by performing a "revocatory act" on the will. A revocatory act includes burning, tearing, canceling, obliterating or destroying the will or a part of the will. A burning, tearing, or canceling is a revocatory act on the will, whether or not the burn, tear, or cancellation touches any of the words on the will. Sec. 700.2507. The person named in the will or nominated by a power conferred in a will. The decedent's surviving spouse if the spouse is a devisee of the decedent. The public administrator will be appointed by the court if no interested person applied for appointment within 42 days after the decedent's death, the decedent did not leave any heirs or there is no heir who is a United States resident. Sec. 700.3203. On a petition for rights of administration, the court will set a date for a hearing. Notice of the petition and the hearing must be served on every individual who has priority (family and certain specific legatees). Unless an individual cannot be located after a reasonable good-faith effort has been made to contact the individual, service shall be made on the individual. Notice of the hearing must include notice of the individual's right to appear at the hearing. Sec. 700.3207(3). To be valid, a will must be declared so by a register's order of informal probate or by a court's adjudication of probate. Sec. 700.3102. A statement that the court will not supervise the personal representative. A statement that the personal representative has/has not posted a bond. A pledge that the personal representative will provide interested persons with copies of the petition for the personal representative's appointment, the will, the inventory and the settlement petition or of the closing statement. Sec. 700.3705. A statement that an interested person may petition the court for a hearing at any time during the estate's administration. A statement that hat federal and Michigan estate taxes must be paid within 9 months after the date of the decedent's death. A statement that if the estate is not settled within one year after the personal representative's appointment , the personal representative must file, within 28 days of the anniversary, a notice that the estate remains under administration and specify a reason for the continuation of settlement proceedings. The identity and location of the court where papers relating to the estate are on file. Sec. 700.3705. A person who wants any notice pertaining to a decedent's estate in which the person has an interest may file a demand for notice with the court at any time after the decedent's death stating the decedent's name, the nature of the person's interest in the estate and the address of the person or the person's attorney. If a proceeding is not pending at the time a demand is filed under this section, the person filing the demand must pay the fee required to commence a proceeding. The person filing a demand must mail a copy to the decedent's attorney, if known, to the personal representative and to the personal representative's attorney. Sec. 700.3205. Within 91 days after appointment the personal representative will prepare an inventory of property owned by the decedent at the time of death indicating each item's fair market value as of the date of the decedent's death and the type and amount of an encumbrance that may exist with reference to each listed item. Sec. 700.3706(1). The personal representative must send a copy of the inventory to all presumptive distributees and to all other interested persons who request it and may also file the original of the inventory with the court. Sec. 700.3706(2). The surviving spouse is entitled to a homestead allowance of $15,000.00. Sec. 700.2402. The surviving widow of a decedent who was domiciled in this state and who dies intestate may file with the court an election in writing that she elects to take either her intestate share or her dower right. The surviving spouse of a decedent who was domiciled in this state and who dies testate may file with the court an election in writing that the spouse elects either the benefits under the terms of the will or 1/2 of the sum or share that would have passed to the spouse had the testator died intestate, reduced by 1/2 of the value of all property derived by the spouse from the decedent by any means other than testate or intestate succession upon the decedent's death, or, if a widow, that she will take her dower right. Sec. 700.2202. For their maintenance during the period of administration, a reasonable family allowance is payable to the decedent's surviving spouse and minor children whom the decedent was obligated to support, and children of the decedent or another who were in fact being supported by the decedent, which allowance shall not continue for longer than 1 year if the estate is inadequate to discharge allowed claims. Sec. 700.2403. Debts and taxes under federal law. Reasonable and necessary medical and hospital expenses of the decedent's last illness, including a compensation of persons attending the decedent. Debts and taxes under state law. All other claims. Sec. 700.3805. Michigan's estate tax is equal to the maximum allowable federal state death tax credit. Because there is currently no state death tax credit, there is also no Michigan estate tax. Sec. 205.232. Michigan allows a taxpaying resident to deduct itemized charitable gifts in the same manner as the IRS. Sec. 206.30(1)(z). Michigan also allows a charitable deduction for contributions to the advance tuition payment fund of the Michigan education trust act. Sec. 206.30(1)(j)(i). Michigan, a "silent" state, does not specifically address whether or not charitable organizations issuing gift annuities are exempt from insurance regulation. In Attorney General Opinion (Opinion No. 6538), a gift annuity program proposed by the Michigan State University Foundation was deemed not subject to Michigan Insurance regulation, unless the issuance of annuity agreements became the Foundation's principal object and purpose. Michigan does not require any specific disclosure language in an issuing charity's gift annuity contracts. Michigan does not require an issuing charity to hold any amount in reserve. On May 25, 2011, Michigan's Governor signed a tax reform bill into law (2011 PA 38). That law required organizations that administer pension and retirement benefit programs, including charitable gift annuities, to withhold Michigan income taxes from the annuity payments. While there were many exceptions to this rule, the new law created an administrative burden for many charities. 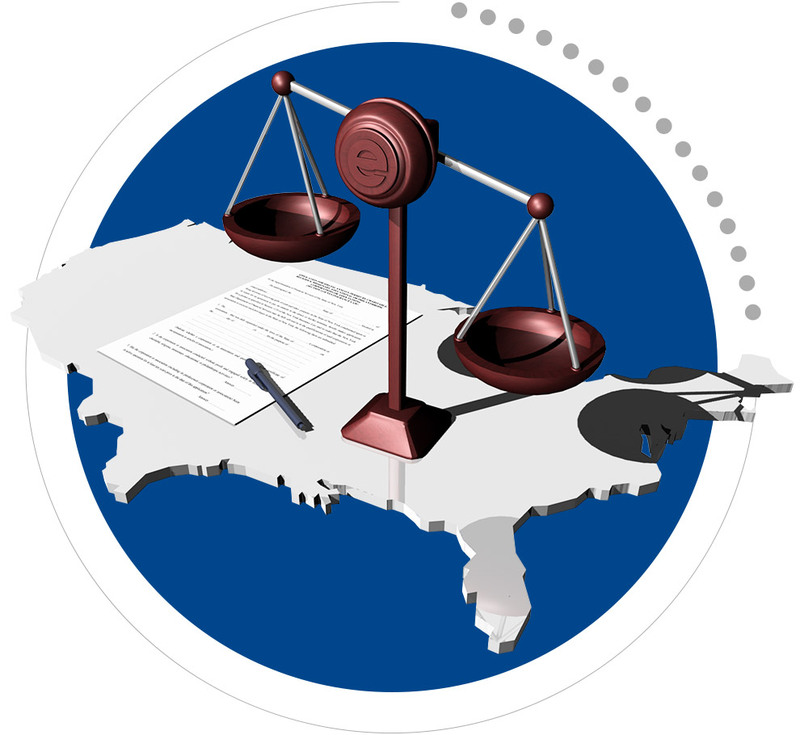 On July 18th, 2012 Michigan's Governor signed a new bill into law that clarifies the 2011 law (2012 PA 217). The new law exempts charities from the withholding requirements related to charitable gift annuities. So, while a general requirement for withholding exists under Michigan law related to annuity payments, those obligations no longer extend to charitable gift annuities.